And likewise, without the knitting needles you’d just have a pile of yarn. All joking aside, we’ll be looking at knitting needles a little later, but here we plan to focus on yarns. We’ll look at what they are, the different kinds, and offer some advice on choosing the right one for your next knitting project. What are yarns, and how are they made? Picture a continuous length of interlocking fibers and that is a yarn, in its most simplest terms. It is used in the production of textiles, for sewing, knitting, crocheting, embroidery, and weaving. It is also used for rope making. Thread is a type of yarn that’s meant for sewing, either by machine or by hand. Embroidery threads are another type of yarn. Yarns can be made from many different fibers, both synthetic and natural. And while there are many different methods for making yarn the main types are filament and spun. When it comes to knitting, there’s lots to choose from, which can unfortunately make things confusing. Wool yarn, sock yarn, chunky yarn, and a whole host of other types to learn about, before you can get your needles out and start knitting. And it really is worth spending the time finding out all you can, rather than blindly following the instructions. Each kind of yarn will be different, with its own set of characteristics. Knitters will always be able to make better garments with a good understanding of their yarns. Some are expensive, but there should be no problem if your budget is limited, because you can always use a cheap yarn, or take advantage of a discount yarn. Natural fiber yarns include wool, alpaca, cashmere, cotton, angora, silk, linen, and mohair. Synthetic alternatives include acrylic, rayon, microfiber, and even paper. Yarn can be thick, thin, textured, or smooth. It comes in solid colors, but there are also stripes, multicolored, and variegated. Just take a look in your local knitting store, or type “knitting yarns” into your search bar, and you’ll appreciate the multitude of options available. Yarn is commonly grouped into basic categories, which helps you pick the right one for your project. If you’re following a pattern, there will always be advice to follow, on the type of yarn and needles to use. Ranging from super bulky to super fine, knitting yarns are organized according to their weight. Thinner yarns work better with thinner needles, while thicker yarns need needles with a little more bulk. Let’s give you the link to a table that will help you familiarize yourself with the different categories of yarn, and the best needles to use, whether knitting or crocheting. As well as an understanding of which needles work best with different types of yarn, you will also benefit from learning more about yarn labels and how to read them. 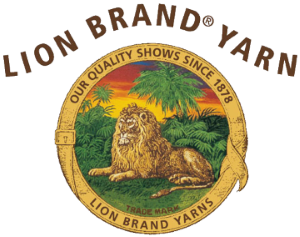 Yarn labels contain a lot of valuable information, including advice on washing and fiber content. Unfortunately, not all labels follow the same format, but there are however, a number of common elements. Color of the yarn and dye lot – This will be the color’s name and number, along with the dye lot. If you’re planning to use more than one skein of the same yarn, these dye lot numbers should be matching. This is because yarn colors can vary very slightly between lots, and an differences in your garment will stand out like a sore thumb. Now you’ve got a bit more of an understanding regarding all those facts, figures and symbols on the label of your yarn. Don’t be too hasty in throwing it away, once you’ve finished your project. Keep it with any leftover yarn, or give a copy of it to the recipient of your handmade gift. Weight category – You’ll be far more successful if you only substitute yarns of the same weight category. Fiber content – The best bet is to swap similar fibers. For example wool yarn for another type of wool, or cotton for cotton. Cotton and wool can be swapped but be aware that they have different properties. Style – Swapping textured for smooth for example, will make your garment very different from the original. Actual weight – This doesn’t matter much at all, unless you’re worried about the weight of the final object. For example, when making something large. When substituting yarns, the most important step is to make a swatch, and check it for drape, gauge, etc. Keep yourself up to date with all the latest yarns, by making our site one of your favorites. We’ll be featuring some of the best yarns currently available in the future, and helping you pick the best ones for your next project. We’ll also be looking at some of the newest yarns on the market, as well as offering up ideas if you’re looking for a cheap yarn, or a discount yarn.